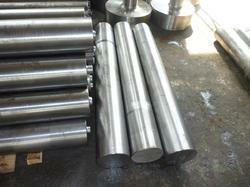 We are offering high-quality Inconel Round Bar using high-quality machines and instruments. These stainless steel round bars are available in various sizes. 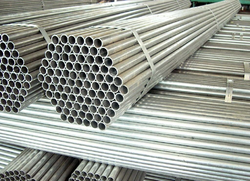 Few types of our round bars are steel round bars, stainless steel round bars and much more.Being a client centric organization we present an exclusive array of Monel Round Bars. 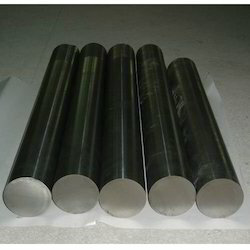 We are the prominent supplier of Inconel 600 Round Bar. 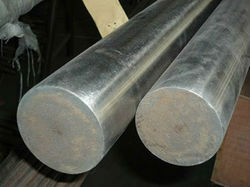 Our Inconel Round Bar are well Known for its quality, durability and high tolerance. Inconel retains strength over a wide temperature range, attractive for high-temperature applications where aluminium and steel would succumb to creep as a result of thermally-induced crystal vacancies. 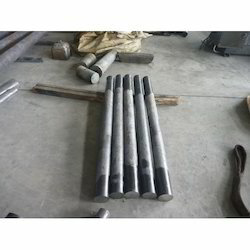 We are engaged in offering 602 Inconel Bar to the clients. Inconel X-750 is a Nickel-Chromium alloy made precipitation hardenable by additions of Aluminium and Titanium, having creep-rupture strength at high temperatures to about 700°C (1290°F). It is widely used for high-temperature conditions but is not as strong as Nimonic 90. 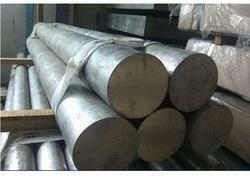 825 Nickel Alloy Bar or Incoloy 825 is highly resistant to corrosion. It has a high nickel content, sufficient to resist chloride ion stress corrosion cracking, and a very stable austenite structure. The levels of molybdenum and copper enable the alloy to resist reducing agents and acids. Chromium gives resistance to oxidising conditions, such as nitric acid solutions, nitrates and oxidising salts. The alloy is titanium stabilised to resist pitting and intergranular attack after fabrication, particularly welding, which includes heating in the critical sensitisation temperature range (650°C – 760°C). Alloy 825 offers exceptional resistance to corrosion by sulphuric and phosphoric acids and is often the most cost-effective alloy in sulphuric acid service. Incoloy 825 is approved for pressure vessel operating temperatures up to 525°C (AS1210, AS4041), 538°C (ASME Boiler & Pressure Vessel Code, Sections I, III, VII, IX, Cases 1936, N-188). Brittle phases may form in alloy 825 at temperatures above ~ 540°C, so it is not normally used at these temperatures, where creep-rupture properties would be design factors. 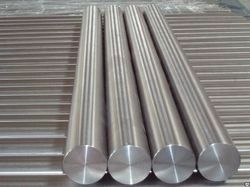 We are engaged in offering 925 Nickel Alloy Bar to the clients. We are engaged in offering a wide range of Inconel Pipe which is applicable in the transport, production and storage of several liquefied gases and other liquid substances. These Inconel Pipes are manufactured using Standards ASTM. We offer a complete solution of Inconel Pipes to various industries. Inconel Bar is oxidation and corrosion resistant materials ideal for extreme environments. Inconel when heated forms a thick, stable, passivating oxide layer protecting the surface from further attack. Inconel retains strength over a wide temperature range, attractive for high-temperature applications where aluminium and steel would succumb to creep as a result of thermally-induced crystal vacancies. 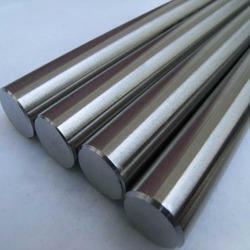 Inconel 617 Round Bar or high-performance alloys have good creep and oxidation resistance. They have an ability to function under high temperatures and mechanical stress. They are available in different shapes and contain a number of elements in a variety of combinations to achieve the desired result. There are three groups of alloys namely cobalt-based, nickel-based, and iron-based alloys. All the three types can be used at temperatures above 540°C (1000°F). Another designation equivalent to Inconel 617™ is DIN 2.4663. Inconel 617™ can be formed using all conventional techniques. The chemical composition of Inconel 617™ is given in the following table. The following table shows the physical properties of Inconel 617™. The mechanical properties of Inconel 617™ are displayed in the following table. 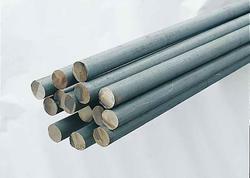 We are engaged in offering a wide range of Inconel Rod that is widely demanded in petrochemical & fertilizer industries, water treatment plants, chemical industries, thermal power stations, refineries and much more. 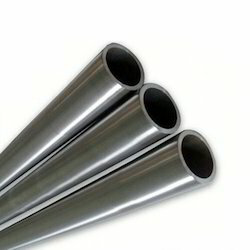 We import & having stock of Inconel 718 Pipe, which is resistant to corrosion. Incoloy 800, 800H, and 800HT are nickel-iron-chromium alloys having high resistance to carburization and oxidation in high-temperature exposure and with good strength. These nickel steel alloys are identical except for the higher level of carbon in alloy 800H, and the addition of up to 1.20 % aluminium and titanium in alloy 800HT. Incoloy 800 was the first of these alloys and it was slightly modified into Incoloy 800H. The modification made was to control carbon (.05-.10%) and grain size to optimize stress rupture properties. Incoloy 800HT has more modifications to the combined aluminium and titanium levels (.85-1.20%) to ensure optimum high-temperature properties. The nickel alloy is dual certified (800H/HT) and combines the properties of both forms. Incoloy 800H/HT alloy was actually meant for high-temperature structural applications. These alloys are resistant to embrittlement from precipitation of sigma phase and chloride stress-corrosion cracking due to the nickel content. The corrosion resistance is quite high. Incoloy 800 is mainly used in applications with temperatures up to 1100° F, where alloys 800H and 800HT are normally used at temperatures above 1100° F where resistance to creep and rupture is required. 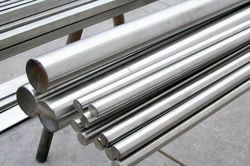 The chemical balance allows the nickel steel alloy to exhibit excellent resistance to carburization, oxidation and nitriding atmospheres. Incoloy 800HT will not become embrittled even after long periods of usage in the 1200-1600° F range where many stainless sheets of steel become brittle. Superior cold forming properties associated with the nickel-chromium alloys are exhibited with 800HT. When cold forms extensively, the grain size produces a visibly undulated surface called “orange peel”. Incoloy 800HT can be welded by the common techniques used on stainless steel. 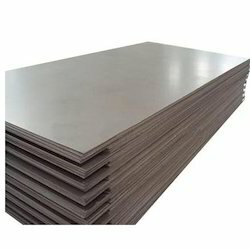 We are engaged in offering Inconel Sheet to our valued clients. These are extremely demanded the feature such as long working life, high tensile strength and ease of installations. 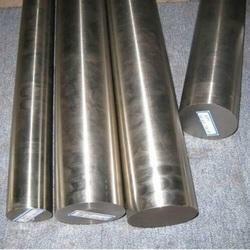 Our customers can avail offered the range of Inconel Sheet at comparatively lower rates in the market.